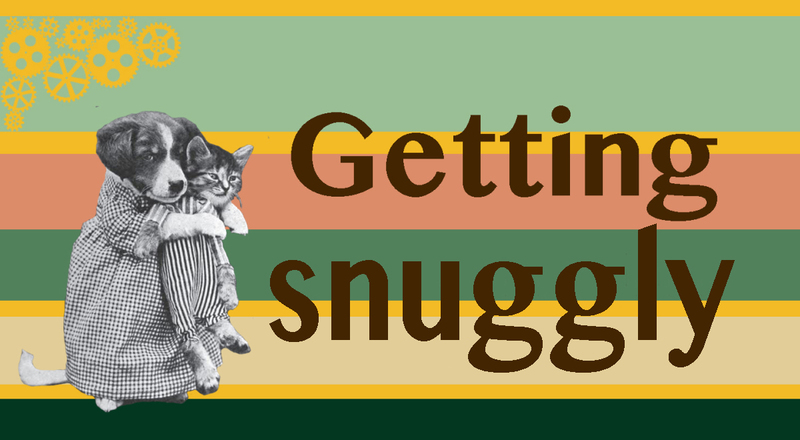 It’s the weekend, which means it’s time to grab a nice person, pet, or blanket to curl up with and escape the winter blues for a few days. It turns out there were some great Victorian words for that. snoozle v. when napping and cuddling happen simultaneously. ‘Mollycoddle’ is another great Victorian word, though it involves more pampering and less lazing about. It’s kind of like snugifying, but involves extras, like snacks, or whatever the person wants. Mollycoddling is the same as spoiling; it just sounds more Victorian. Wherever you are, I hope you have someone to snuggle with.